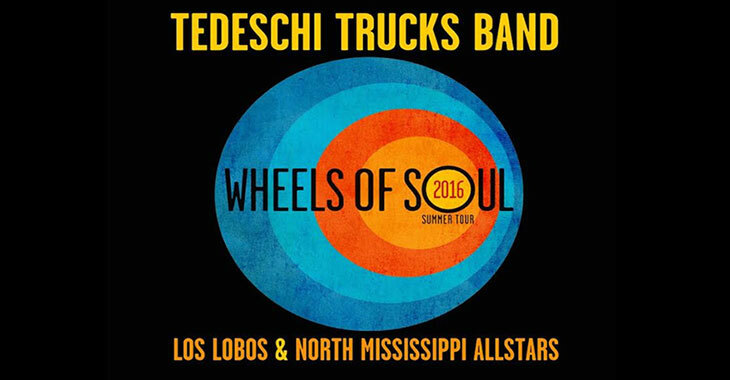 This Summer, the new tradition of the Wheels of Soul Tour continues with another triple-bill for the ages: TTB will be joined by Los Lobos and North Mississippi Allstars for a run of dates in July. We’re looking forward to another year of making music with our friends, and with the incredible musicianship that the 2016 Wheels of Soul Tour will feature, the possibilities for collaboration are endlessly exciting for the bands and the fans alike. Here’s a list of dates and pre-sale times for the 2016 Wheels of Soul Tour. As always, for TTB pre-sales, just visit the Tour page and you can get pre-sale tickets for your show with no code needed. Remember, if you can’t find the tickets you want in the pre-sale, the majority of seats are available in the public on-sales. *All pre-sale times are local time.